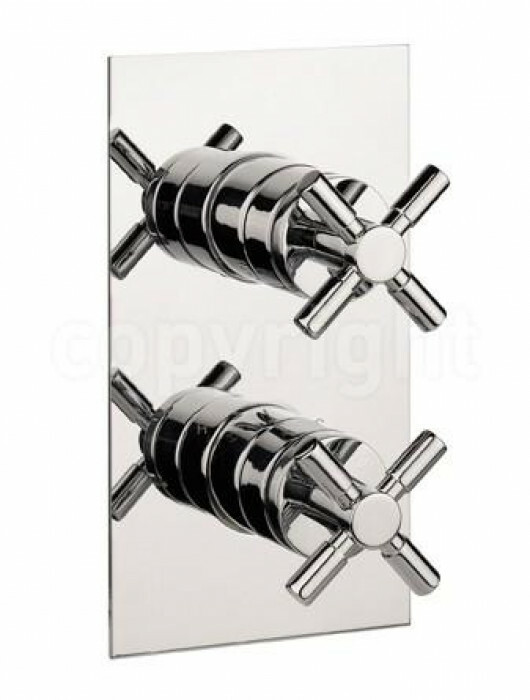 An elegant thermostatic shower valve from the Crosswater Totti range which will leave bathrooms with a timeless appeal. The Totti Thermostatic Shower Valve features a portrait orientation and 2-Way Diverter built on a stunning chrome finished backplate to give homeowners better control over their water settings. The Crosswater Totti Thermostatic Shower Valve is designed to deliver functionality and style to create an idyllic bathroom and shower room experience.